The Hudson’s Bay Canada has a great little, or rather large, gift with purchase available for shoppers who frequent the Estee Lauder department. 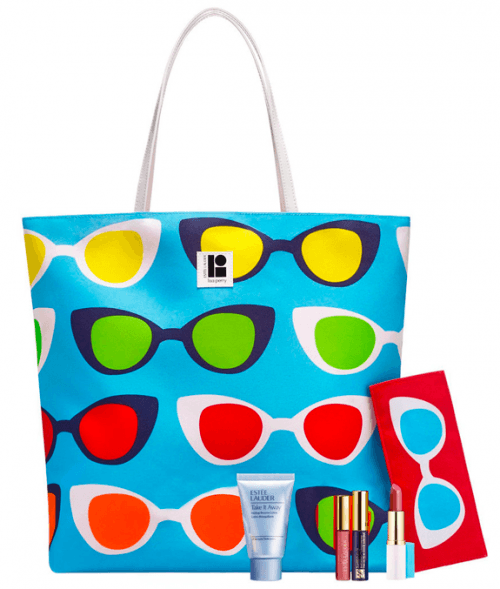 Right now, when you spend $42.50 or more on Estee Lauder skin care or foundation at the Hudson’s Bay, you will also receive a beautifully curated 7-piece gift, one of the pieces being an exclusive Lisa Perry designer tote bag. This offer will be running at the Hudson’s Bay until June 4th, or while supplies remains in-stock. Click here to begin shopping the Estee Lauder product at the Hudson’s Bay Canada.